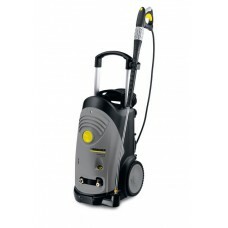 Mid-Class Electric-Powered Cold Water Pressure Washer With Low-Speed 4-Pole Motor and Patented Direct-Drive Axial Pump. Rated at 3.0 gpm @ 2000 psi. Electrical rating - 230V, 1PH, 20 amps. Patented Commercial models are robust 4-pole, air-cooled Axial Pump machines built to withstand long periods of operation in all-purpose commercial applications. Mid-class models feature Kärcher’s unique Chem-Switch system, which allows users to change from one cleaning agent to another without interruption. These units also take up very little space thanks to their vertical upright design. 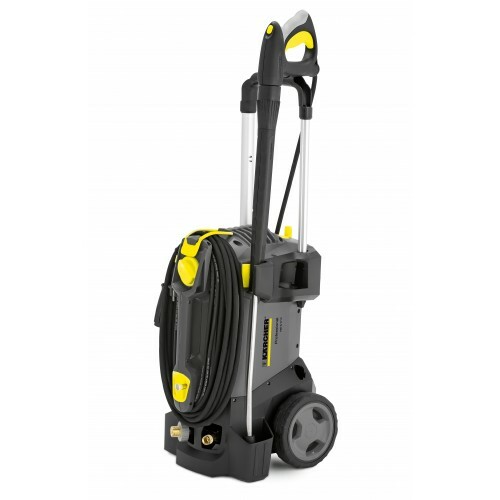 Models come with user-friendly features such as on-gun variable water flow control, complete trigger shutoff, and convenient triple changeover nozzle. Machines are ETL certified to UL and CSA safety standards.